From What Age Should Your Baby Sleep With a Pillow? 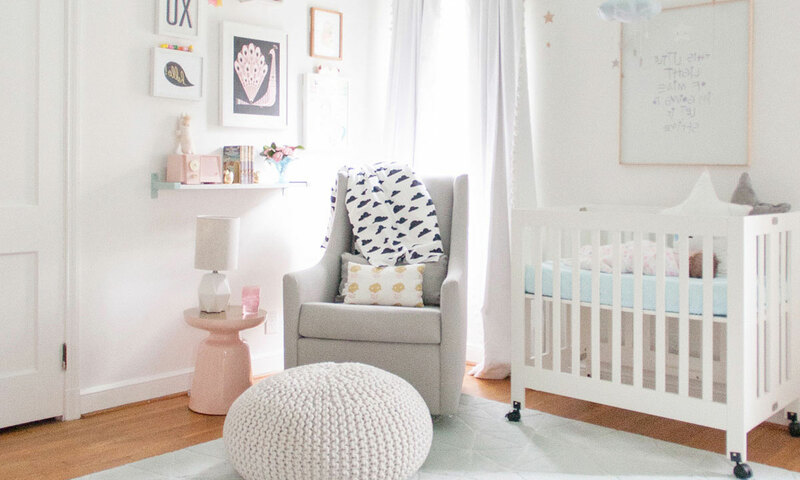 I remember when I was pregnant and my husband and I went baby shopping (you know…clothes, crib, bedding, all the nice things), we stood in the bedding aisle and we were like “should we get a baby pillow?” Do babies need a pillow to sleep on? Are pillows safe for infants? As first time parents, we had no idea. Just because we as adults in- fact used pillows, we automatically thought babies need one too. Plus, babies look so cute with pillows and teddies in their crib, we thought this was normal. 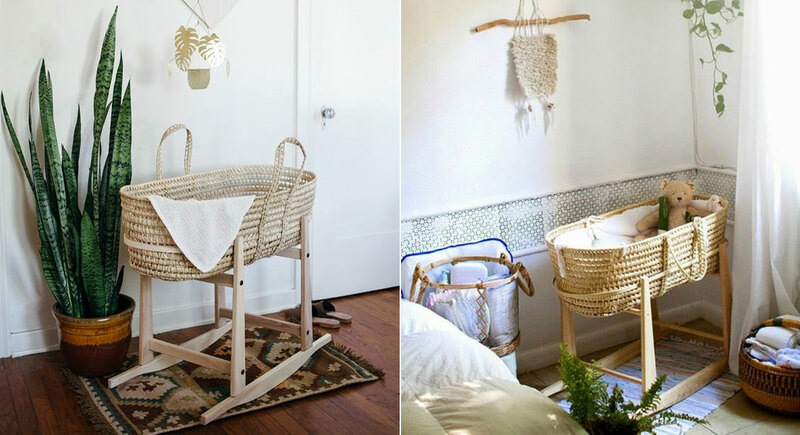 Everyone decorates their nursery and their baby’s crib really cutely. But is it really so? Is a pillow safe for your baby? Or from what age? Then I remembered, about all those sad stories of babies suffocating because they could not turn their head when their nose was in the pillow. And it’s disturbing because it is an innocent baby losing their life, all because of a pillow….. the thing you as an adult can’t sleep without because you would be uncomfortable right? At the time, we did buy a pillow, to later find out that it’s too dangerous for an infant to sleep with one, or in a crib with a pillow. But we put it away until we felt it is the right time for our child to start sleeping with a pillow. Never did we think that pillow will be in a cupboard for 2 years! 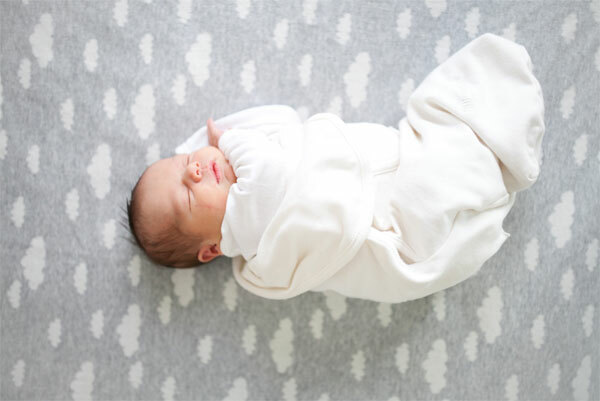 If you have already purchased a pillow (like we did) or you are currently using a pillow in your baby’s crib, we recommend that you immediately remove it from your baby’s sleep environment. Please read on for the age that is safe for your baby to use a pillow. Save the teddies, stuff animals, cute pillows and blankets for photo opps only or for decoration purposes only. Just until your baby is old enough. If you are here reading this and your expecting or have just given birth, check out this blog, LaborTeen as it has great information that is valuable for you to know and assist you in your birth, pregnancy and post-partum care. I can’t recommend this blog enough. 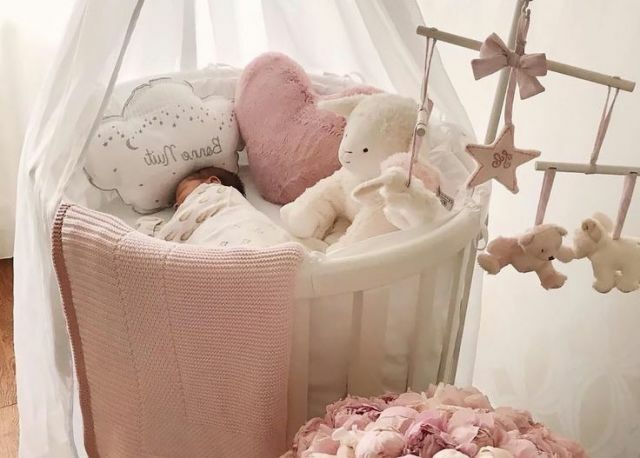 Equally, this is the same with any other baby bedding accessories that you are thinking to buy. As I read on another Mom blog, not only are pillows dangerous in your baby’s sleeping area, but also blankets and duvets. These are two items of baby bedding that many parents also think are ok, but are not. Note to Self: A pillow is not recommended for a children under the age of 2. Babies can die from suffocation from stuffed animals, blankets and pillows. ThinkBaby Tip: As you will read below, when the time is right, do not give your child a feather pillow – this can cause allergies. Why Should Your Baby Sleep Without a Pillow? Remember, babies and adults are different! 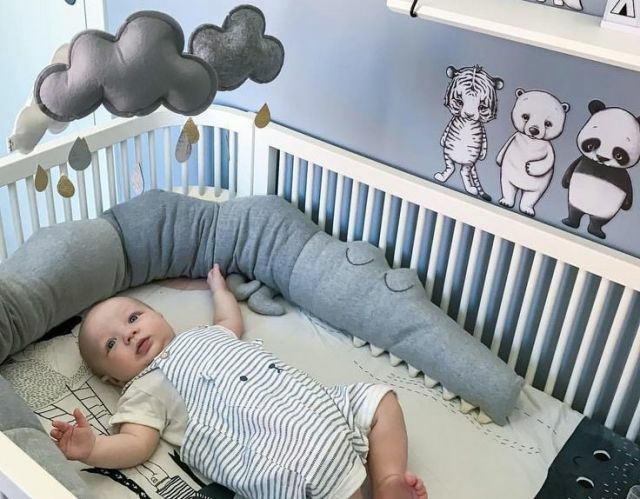 Just imagine, you’re sleeping and you feel your face is in the pillow, you can turn your head… now, your baby can’t turn their neck when their face is pinned down into the pillow. What I am trying to say is : a pillow can block your baby’s nose and mouth and can cause your baby to suffocate. Your child won’t feel uncomfortable without a pillow if they never used one before. In fact, they don’t even need a pillow until you move them from their crib to a bed. 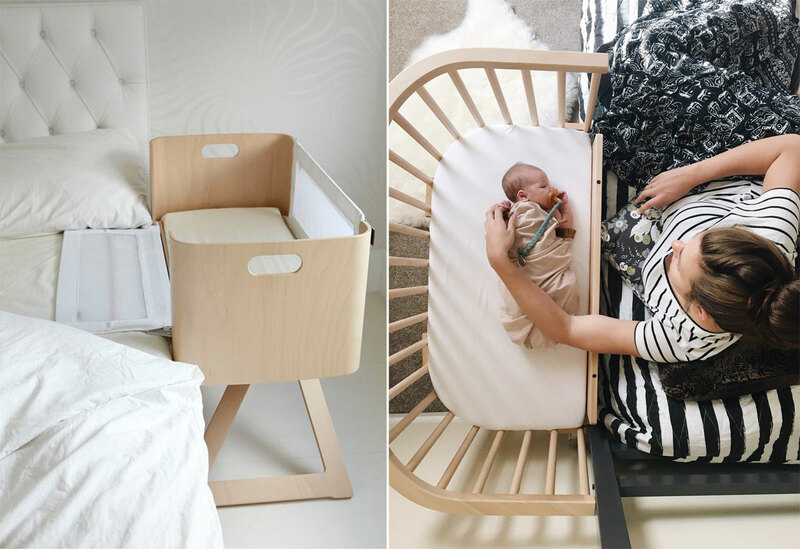 In-fact, whilst we are talking about adding items to your baby’s sleep environment, do not put a lot (actually nothing!) in your baby’s crib or bed. 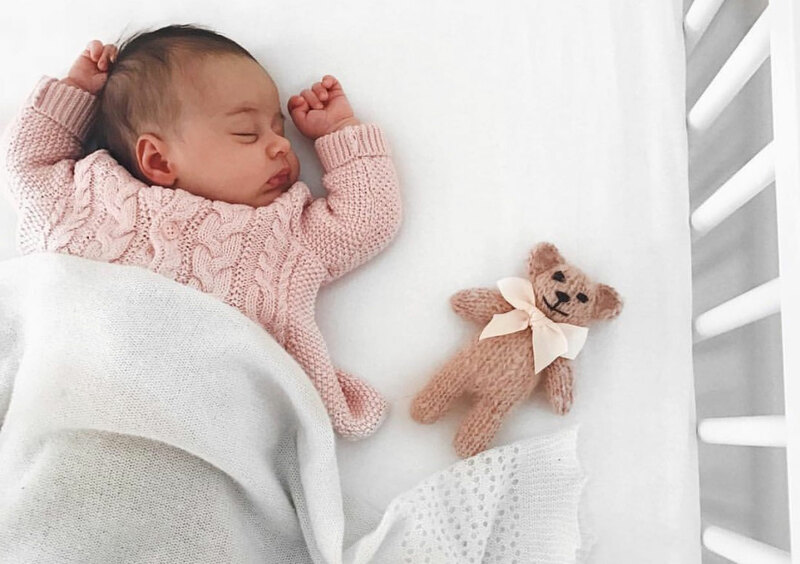 No stuffed toys, scattered pillows, blankets….AND DO NOT give your baby a teddy to sleep with. Not until the age of 2 and above! Sweetandsimplelife.com has fantastic content that covers a range of topics related to motherhood and how to survive it such as this topic. Any soft bedding in the baby’s sleep area is a suffocation hazard. 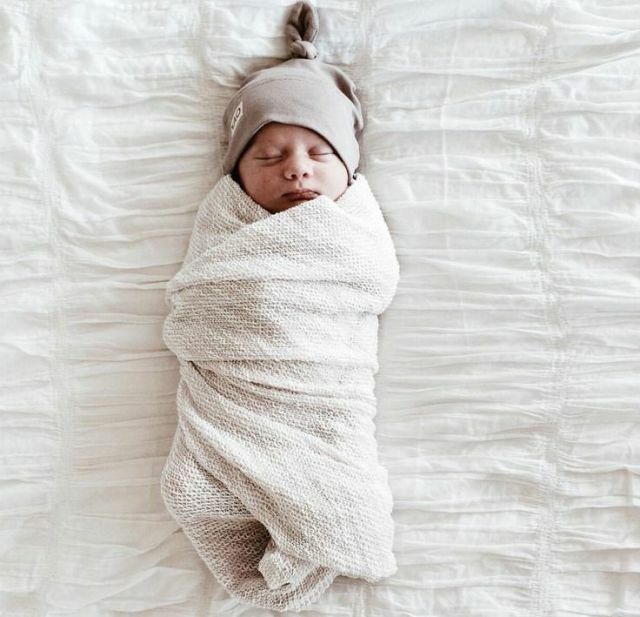 Infants have very little head and neck control, so they will not be able to move their head to breathe if pillows or other soft bedding covers their nose and mouth. I know it may seem uncomfortable to you, but newborns, infants and babies up to the age of two years old, do not require a pillow to sleep. Did you know? Each year, almost half of infant crib deaths reported to CPSC are suffocations caused by pillows, blankets or overcrowding in the crib. So you baby should sleep with absolutely nothing in their crib! 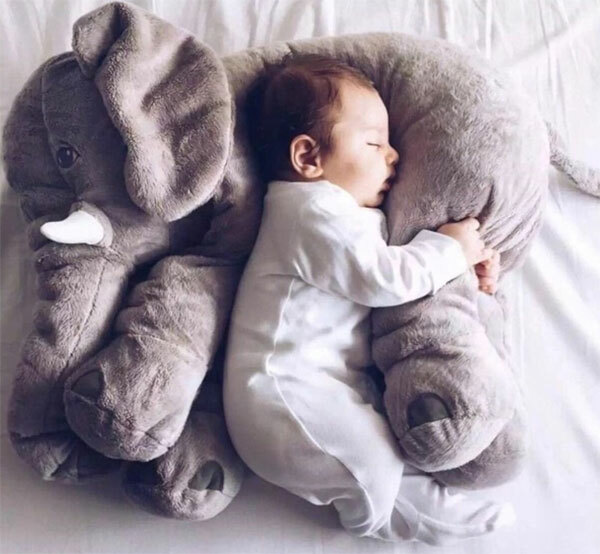 What About Elephant Baby Pillows? I know that especially recently, these elephant pillows for babies have become quite popular. As we mentioned above, please only use these if these if you are supervising, like during a small nap. We recommend not to leave your baby unattended with this pillow as it poses the same risks as all pillows, blankets and stuffed animals. From What Age Is It Safe For My Baby? 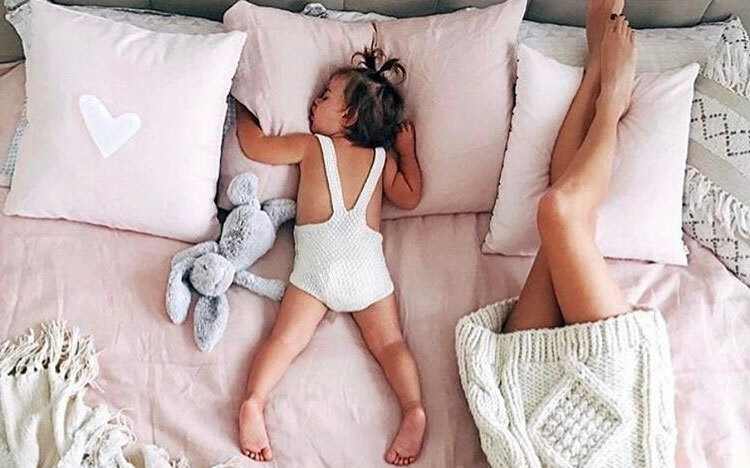 At the age of 1½ -2 years, when it is time to make the move from the crib to a toddler bed (or mattress on the floor). If you then feel comfortable with your baby to start sleeping with a pillow, then go for it. Also don’t forget that a basic toddler pillow should measure 12×16 (approx. 3″ high). If not, do not push yourself! If you decide that you would like to do it, provide them with a small flat pillow. Make sure to check out theramblingramnaths.com, the blog features insightful content on family and motherhood. Laura’s tips and tricks posts are a must see too! Do not worry when you lay down your head each night, that you are comfortable and your baby is uncomfortable sleeping without a pillow on a flat mattress. Do not feel guilty. Be proud to be a mommy who wants to protect her baby. Remember, about 32 infants deaths a year a caused by pillows. The majority of these deaths involve infants in their first three months of life. Please don’t make your child a statistic. For more information, Charlotte from WelshMummyBlogs, has a great article on Baby Bedding Guide.